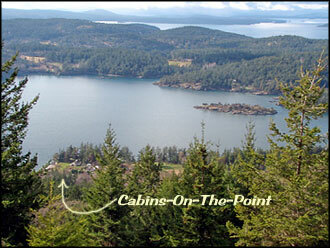 Heather Cabin sits at the edge of the point with a spectacular view of the water. Primrose Cabin is tucked under the trees, providing romance and privacy with a water view. Willow is the original caretaker's cottage. Highlands House offers privacy, two bedrooms and views from the hot tub. Sunset House on its own private waterfront acre for your small wedding, birthday, or vacation. 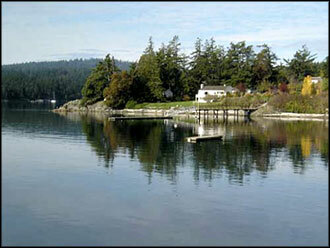 Westsound House is a vintage House about 100 feet from the water. ...spectacular island...and such friendly people." Our home, cabins (Heather and Primrose), and beach cottage (Willow) are situated on three lovely acres along our own private beach. 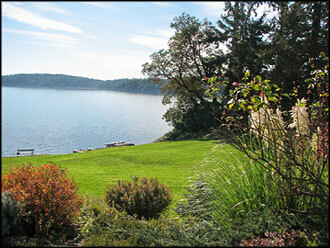 Spacious lawns, flower gardens and woods overlook the water and islands of Westsound. The charming little cabins were built in the early 1900's in a simple Cape Cod style. We have restored them into perfect honeymoon or private retreats with fluffy pillows, comfy furnishings and gorgeous views. The cabins are comfortable and inviting, and each offers its own unique details. Everything, with the exception of your food, is provided. A two person hot tub, nestled among the trees, is secluded overlooking the water, for Heather and Primrose guests. Our private beach invites you for a beach fire, clamming, or a lazy picnic. Our dock is available for your boat by arrangement. Weddings on the point are beautiful. In addition, two comfortable, private, and well-appointed houses (Highlands and Sunset) are located on other parts of the island. Orcas Island offers exploring adventures for every taste: local artists display their work in shops and galleries around the island. Enjoy a vast array of homemade foods, from fresh seafood to scones to soup in the wonderful bakeries, cafes, and restaurants. Take a hike through the forest along mountain trails or around the lakes in our famous Moran State Park. 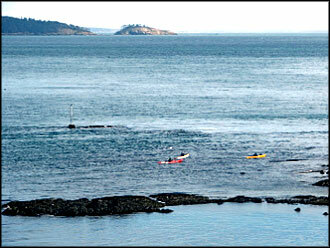 Or take to the water on a whale watching boat, kayak, or an afternoon sailing charter. The new Turtleback Mountain Preserve trailhead is a short walk from the house. You can be "on top of the world" in serenity within the hour. for each, it is 'their' cabin on the point!" We are open all year. Please call or write us anytime with questions or to make reservations. 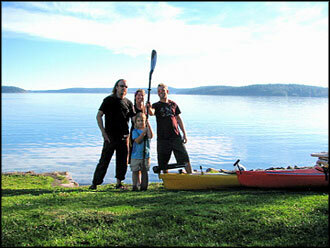 We have a two night minimum in winter and a three night minimum in summer. No smoking or pets please.